Simply Contract. Legal contracts for creatives...made easy. Proudly helping creatives and small business owners with easy-to-fill-in legal contracts and business entity formation services. 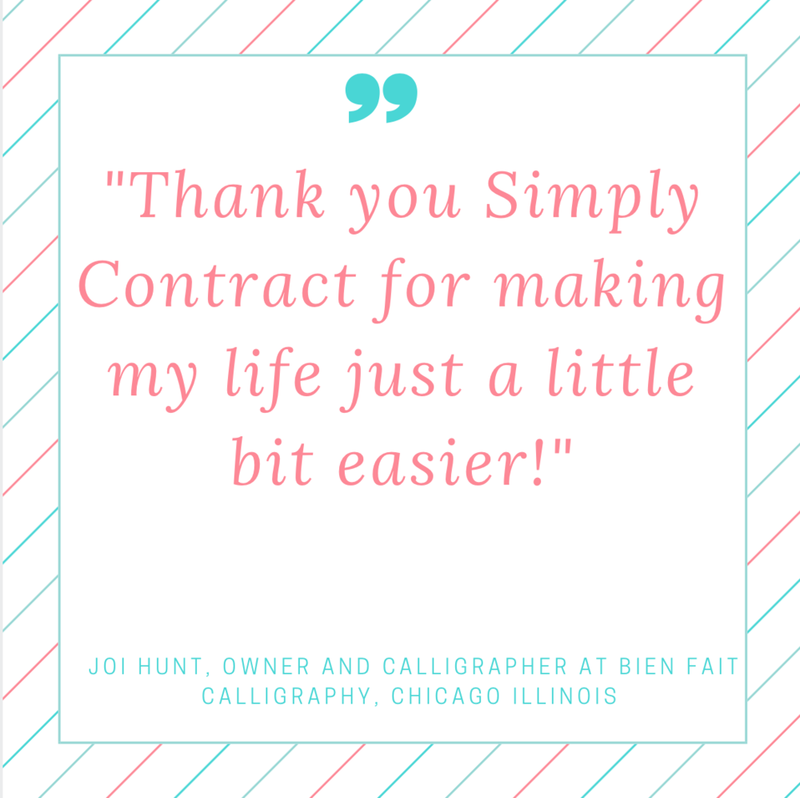 Simply Contract provides easy to fill-in, reusable legal forms created specifically for creatives and small business owners by Ivy League educated and large law firm trained attorneys. The contracts have your specific concerns in mind at a fraction of the cost of what you would pay an attorney to draft an equivalent contract for your business - so you can focus your time and money on building your business.